If you’re looking for reliable roofing contractors for a roof replacement, repair, or new installation at your home in Winterset, Iowa, or a surrounding area, look no further than the professionals at Waddle Exteriors. We begin each project by providing a complimentary consultation where we will discuss all available options and provide you with a no-pressure quote. 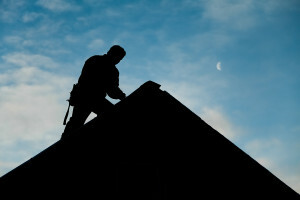 This is one of many ways we have been providing stress-free roofing experiences since our founding in 1978. At Waddle Exteriors, we only utilize factory-trained and -certified installers to ensure that your new roof will be installed correctly the first time. We feel so strongly about the work our technicians perform that we offer an impressive warranty on every installation we perform. Our dedication to excellence, customer satisfaction, and high-quality installations has earned us an A+ rating with the Better Business Bureau that we continue to maintain. To learn more about what makes us stand out from the rest of the roofing contractors in Winterset, IA, and the surrounding areas, contact Waddle Exteriors today. One of our highly qualified team members will happily answer any questions you may have about our products and installation services.